- Actualizing well-being in the world through the power of mind / body / spirit integration. "My personal mission is to move beyond my conditioned beliefs about myself and others into a state of freedom and compassion. I see this as being the foundation to health and wellness. Wholistic and integrated healthcare reveals that we are an interconnected whole person and health is an interplay between all of our moving parts. Wholeness does not require me to have "the perfect body" or the perfect anything, but it does require me to become aware of and move beyond my limiting beliefs and adopt new perspectives and ways to care for myself, and in turn, to care for those around me and my community at large." In addition to her therapeutic practices, Beth has been very involved with community development in British Columbia. She serves as the Past President for Yoga Outreach, a Vancouver-based charity who partners with yoga instructors, community organizations, social service agencies, and correctional facilities to provide mindfulness-based yoga programming for our community’s most under-served members. Beth served on the Board of Directors for the CMTBC, the governing regulatory body for the Massage Therapy health care profession in British Columbia, from April 2009-April 2013. She also served on the Board of Directors for The Yoga Association of BC where she created the Yoga Teacher Registry and served on the British Columbia Recreation and Parks Association's Yoga Module Task Force. 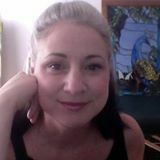 Beth graduated from the 3,000 hour program at The West Coast College of Massage Therapy in 2008. She earned her BFA from The Cooper Union for the Advancement of Art and Science in New York City, studied social work at New York University, attended The Institute for Psychoanalytic Training and Research, and is currently working on attaining her BA in Heath Science from Thompson River University. Beth is a Registrant of The College of Massage Therapy of British Columbia and a member of The Registered Massage Therapy Association of British Columbia.